This is my first a la carte sushi restaurant in a long, long time, I was worried. Would I be full? Would I enjoy it? Would I get everything I wanted and not spend a million dollars? This was a serious test for Ichiban. Upon scanning the menu, we started to realize how much we usually eat. If we were to buy each roll, we’d easily spend over $100. Ouch. We decided to go with our favorites. This was definitely the fanciest sushi restaurant I’ve been to. Well made, dark stained furniture and simple, classy decor. I can’t say I’m a sushi connoisseur, but I know what’s good! My mother and I, who frequent AYCE sushi, were weary of leaving hungry by not breaking the bank. We started with gyoza and It was the best damn gyoza we’ve ever had. The dumplings were huge, crispy and jam packed. So far, so good. 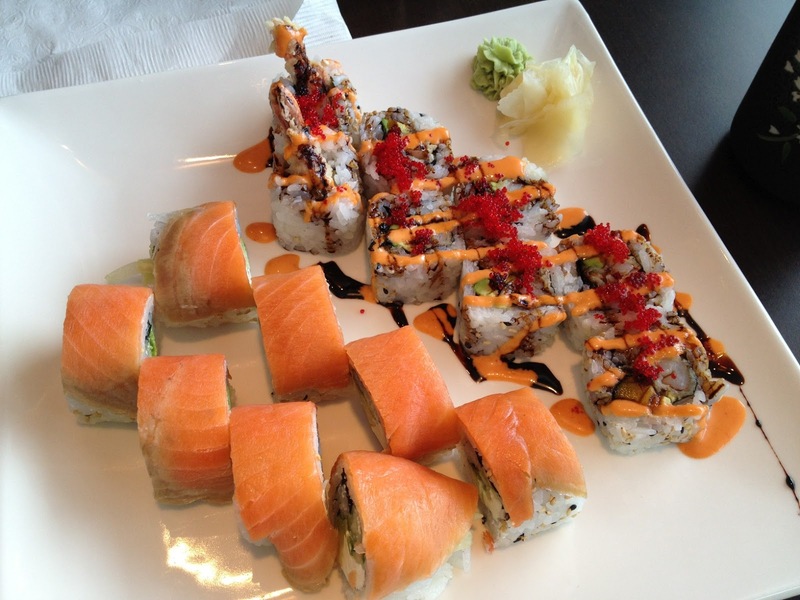 We decided on the Philadelphia roll and the Dynamite roll. The philly roll is pretty basic, cream cheese and salmon rolled in sesame seeds. I’ve had some pretty skimpy rolls in my day, but this was not one of them. Barely able to eat in one bite, it was stuff with flavorful salmon and a large chunk of rich cream cheese. The Dynamite roll was just that, explosive! My mom and I were not prepared for the inferno. AYCE doesn’t offer any particularly spicy rolls, in my experience, so we thought nothing of ordering our beloved dynamite roll. Wow. We went through all of the motions of someone who is not used to spice....shock, sweat, red face followed by chugging green tea. After the initial shock, we knew what we were in for and dove in. The spice was a little overwhelming, but the other flavors were still able to come through. There was definitely a difference in the quality of ingredients. This was pleasing. Surprisingly, my mom and I were full. A little gyoza and 2 rolls and we were done! What happened? We can usually consume 3 or 4 rolls plus appetizers and ice cream. What has a la carte done to us? I think it made us savor what we had ordered and not abuse it. 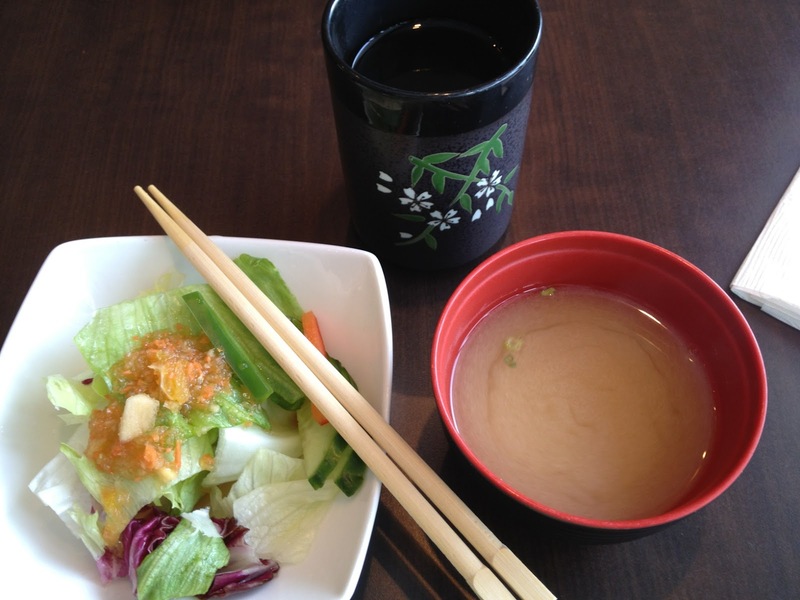 Instinctively, I wanted to order more, because I’m so used to it, but it was definitely unnecessary. We were satisfied and we didn’t break the bank...or our pants for that matter. I would love to go back and see their take on my other favorites! Lisa, learning to spice it up!